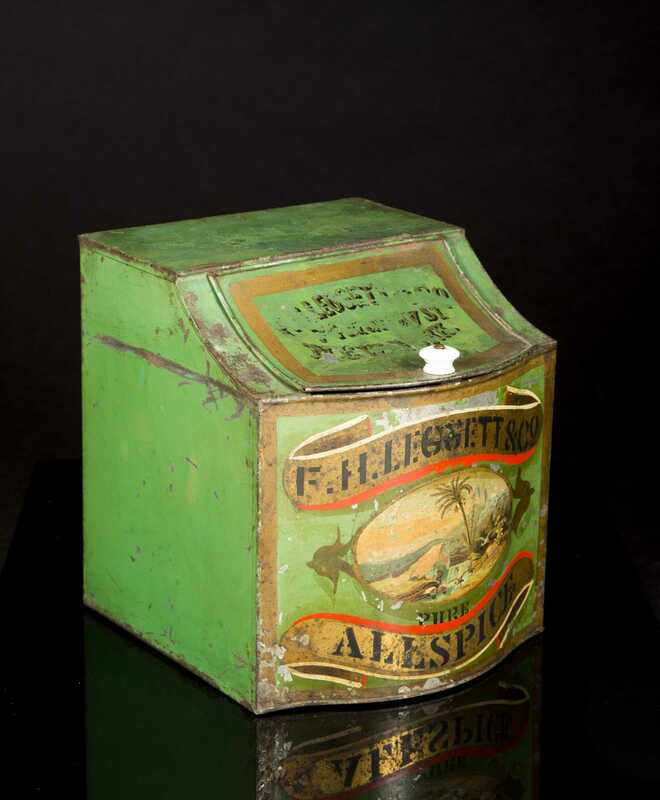 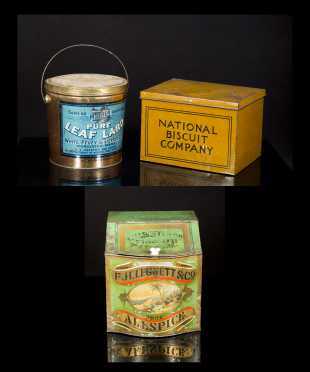 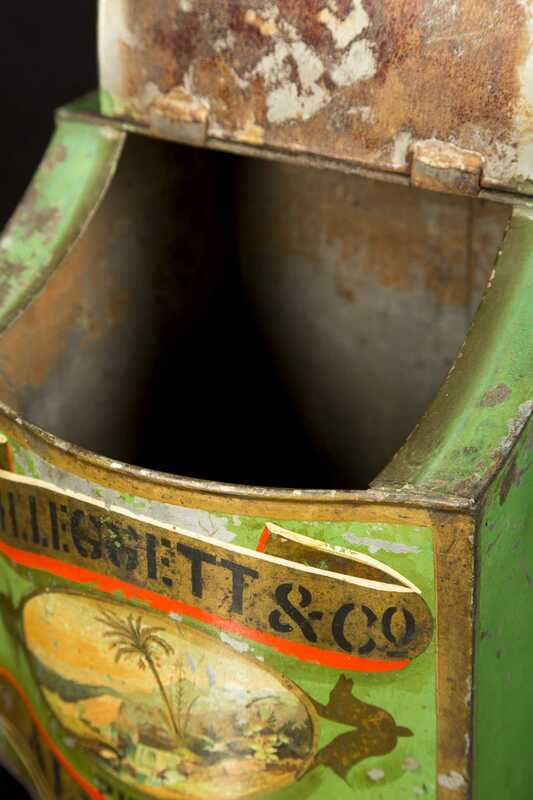 Three Country Store Tin Advertising Canisters/ Counter Dispensers, A) F.H. 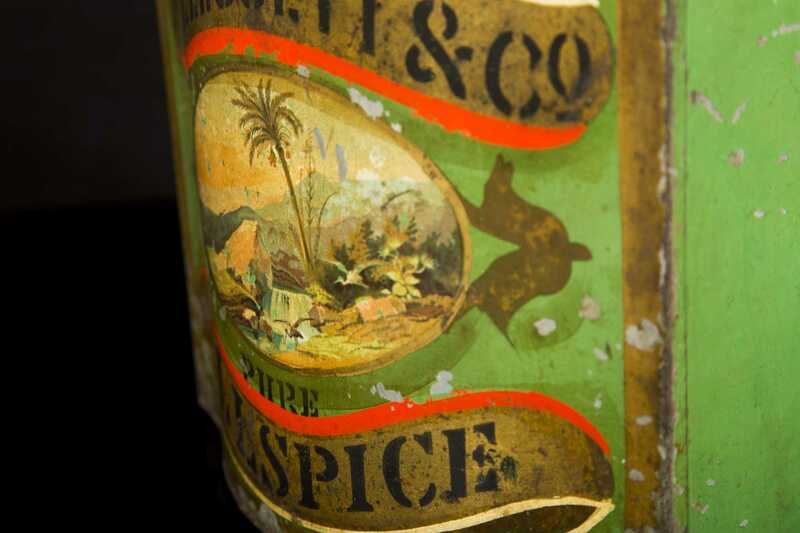 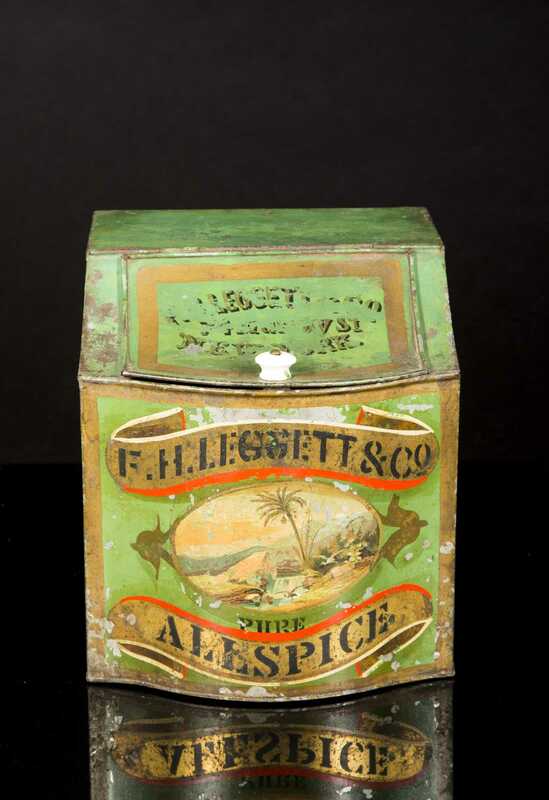 Liggett & Co. Allspice, 9" wide x 10" tall, missing paint. 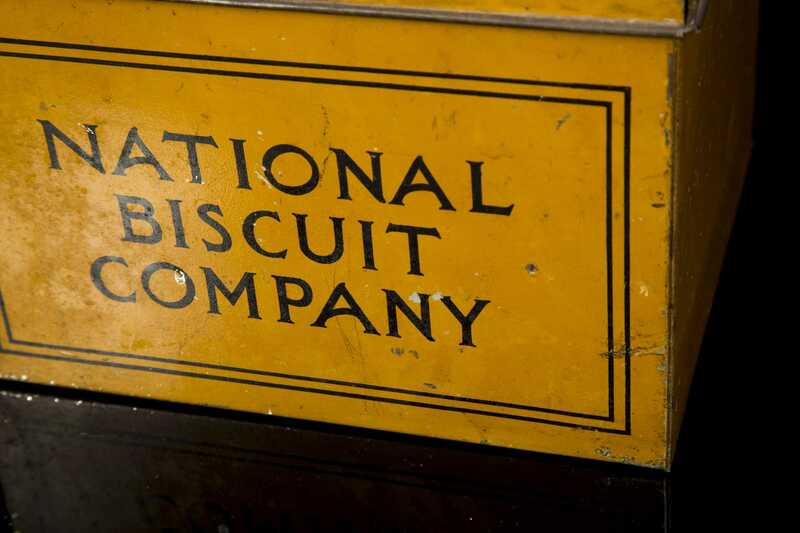 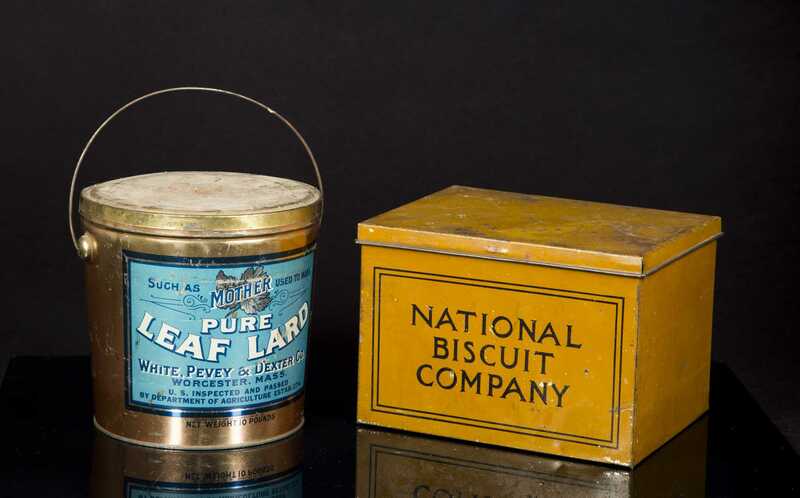 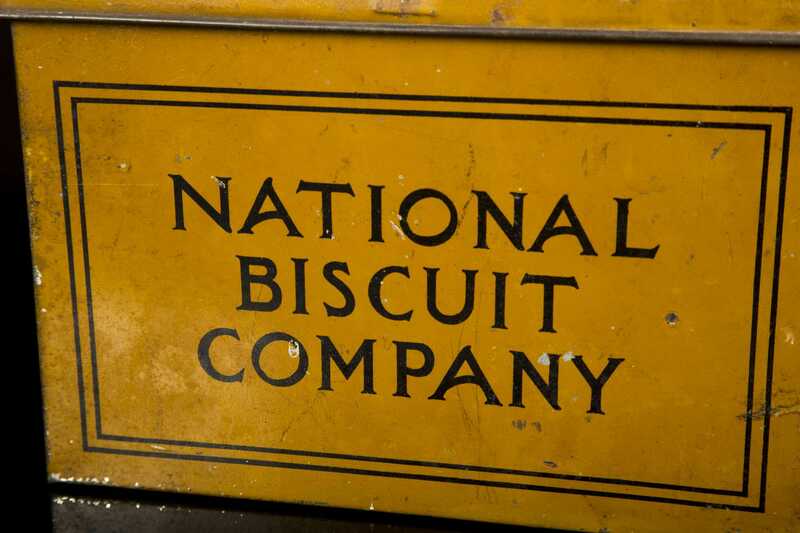 B) "National Biscuit Company", mustard paint, 7" tall x 10" wide. 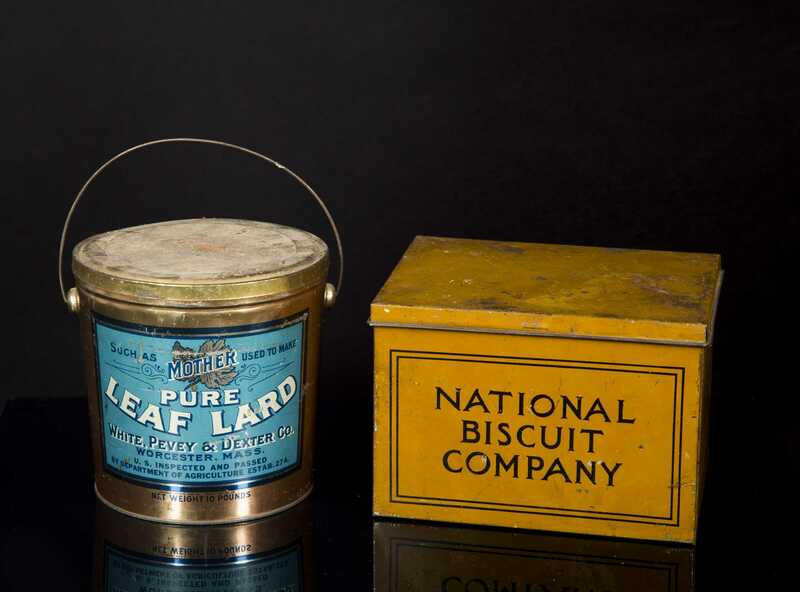 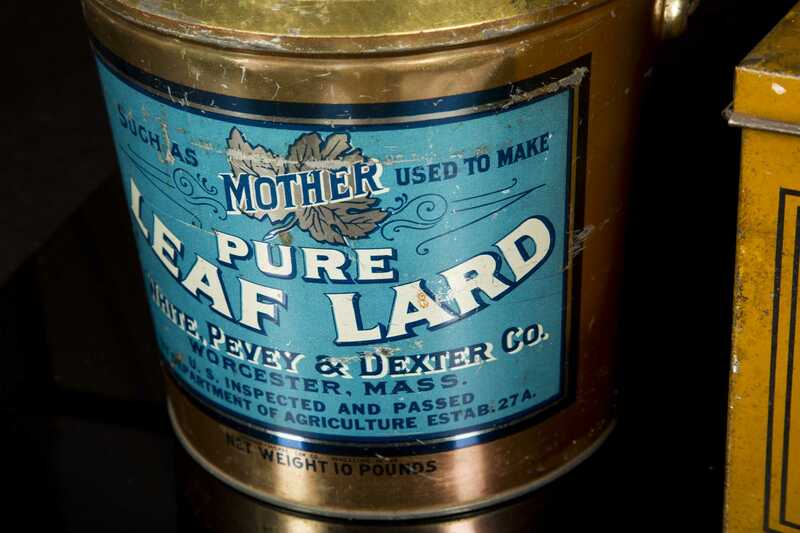 C) Pure Leaf Lard cover pail, 8" tall.